Teachers: Niall Canavan (Co-Ordinator), Marie Flanagan, Ann Gillard, Sinead Healy, Dolores Kavanagh, Gerard Lyons, Nuala Quinn. As a department we hope to foster the intellectual, imaginative and emotional growth of each student by developing his/her personal proficiency in the arts and skills of language. - To offer students a wide experience of literature, oral and aural skills, reading and writing. - To enable students to interpret, compose, discriminate and evaluate a range of material so they can become independent learners who can operate beyond the school in a range of contexts. 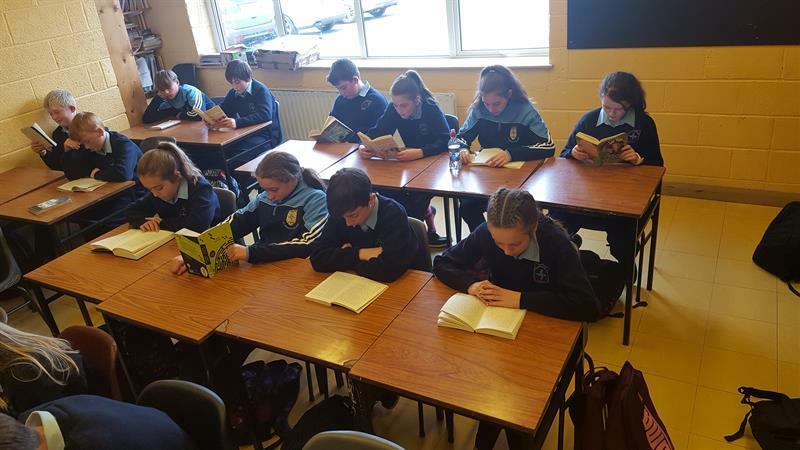 To fulfil the requirements of the syllabi as laid down by the Department of Education, in relation to both Junior Cycle English and Leaving Certificate English. To foster, in all students, an appreciation of the subject. To enable all students to interpret, compose, discriminate and evaluate a diverse range of material, so they can become independent learners in a dynamic world. English is a compulsory subject. All classes and years receive the required allocation of class time allocation as stipulated by the Department of Education. The English classes run concurrently. The English Department has a policy of non-streaming at Junior Cycle. However, students who need additional support to reach their full potential are accommodated in a smaller class group. 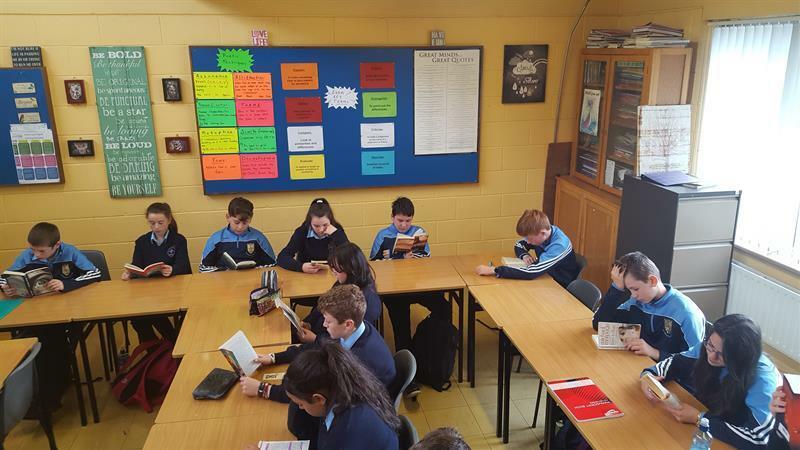 First Years have a “Reading for Pleasure” class every Friday. Students attend workshops in drama and poetry during the school year so as to aid in their understanding of the named genres. English students participate in many competitions including “Poetry Aloud”.